Narcissists tend to be thin‐skinned people who throw tantrums over minor or even imaginary slights. Some psychologists make the absurd argument that the narcissist’s childish behavior is the result of low self‐esteem. Yet the word narcissism means that the person’s self‐esteem is ridiculously high. You cannot be narcissistic and have low self‐esteem at the same time, just as you cannot have a fever (high body temperature) and hypothermia (low body temperature) at the same time. So why might someone with ridiculously high self‐esteem be so touchy? As I explain in my book Don’t Feed the Narcissists! 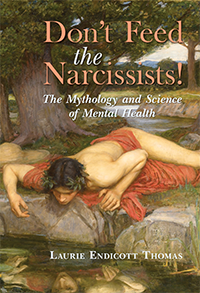 The Mythology and Science of Mental Health, narcissists are secure in their self‐concept but not in their social rank. Narcissists have ridiculously high self‐esteem. For this reason, narcissists feel that they are entitled to a much higher social rank than reasonable people are willing to grant to them. Narcissists often notice that other people do not worship them as much as the narcissists worship themselves. As a result, narcissists feel that they are being unfairly disrespected and unfairly deprived of the things they richly deserve. Narcissists think that they are great. They want to be regarded as superheroes, or at least as supervillains. Like the supervillains in comic books, narcissists often want to surround themselves with minions. Minions are the servile underlings of a powerful person. Minions can provide many valuable services to their leader. The most valued of these services is the display of submission. These displays of submission are called narcissistic goods or narcissistic supply. To an intelligent and reasonable person, the minions may seem like boot‐lickers or toadies whose praise is meaningless. Yet to a narcissist, even ridiculous praise means something important: it is a show of submission. By providing narcissistic supply, minions show that they know their place, which is beneath the narcissist in the pecking order. By reinforcing the narcissist’s sense of superiority, minions help to reinforce the narcissist’s narcissism. Narcissists crave narcissistic supply, but they hate any kind of feedback that is less than worshipful. Like Snow White’s Evil Stepmother, narcissists want continual reassurance that they are the fairest of them all. Unfortunately, someone who outshines the narcissist in any way poses a challenge to the narcissist’s superiority. This perceived challenge is called narcissistic injury. To neutralize this threat, the narcissist may become aggressive. The aggression is called narcissistic rage. Narcissistic rage is the underlying motivation for many kinds of bad behavior, from ordinary rudeness to mass murder. Since narcissists are overly ambitious, overconfident people, they can cause serious problems at work. Many people find the narcissist’s confidence appealing. As a result, many narcissists get promoted ahead of more‐competent yet humble people. For this reason, narcissists are often given positions that they cannot handle. Like the pointy‐haired boss in the Dilbert comics, narcissists often end up managing people who are more capable than they are. Narcissists who achieve some sort of management position tend to seek out minions who will give them endless narcissistic supply. Anyone who causes narcissistic injury, such as by outshining the narcissist in any way, will then become the target of the narcissist’s rage. For this reason, narcissistic managers tend to become bullies, and they tend to attack the best and brightest of their coworkers and subordinates. Narcissists make bad managers. Narcissists are far more concerned about their rank within the hierarchy than about the achievements of their team within the organization. For this reason, narcissistic managers often make it impossible for their best and brightest subordinates to achieve anything of importance. As a result, their team suffers. If upper management does not correct this problem, the organization itself may ultimately fail. Narcissistic rage often leads to a problem that I call the Paradox of Narcissism. Narcissists rage because they are struggling to occupy a high social rank. Yet their tactics are often so childish or obnoxious that the narcissists end up losing other people’s respect. To get other people to admire them, they must give up some of their self‐worship. For the people who come in contact with a narcissist, the narcissist’s aggressive tendencies pose a dilemma. A dilemma is a choice between two equally bad options. The classic example was being faced by a wild bull. If you tried too hard to avoid one of the bull’s horns, you would get stuck by the other horn. If you oppose the narcissist in any way, you may become a target of narcissistic rage. Yet if you reliably appease the narcissist, then you will become a minion in a society that is being run by a mentally ill person who is concerned about nothing but his or her own inflated ego. Neither of those choices is acceptable. The only acceptable option is to avoid the bull altogether. If you are a sane and decent person, you cannot win by entering into a power struggle with an insane person with an unhealthy need to win pointless dominance games. Instead, the best strategy is to spot this problem from a distance and to avoid it whenever possible. 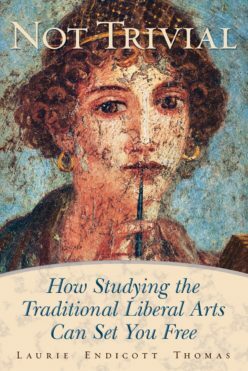 Previous Previous post: Was “William Shakespeare” an Italian Jewish Woman? Next Next post: Was the Shooter a Terrorist or a Narcissist?